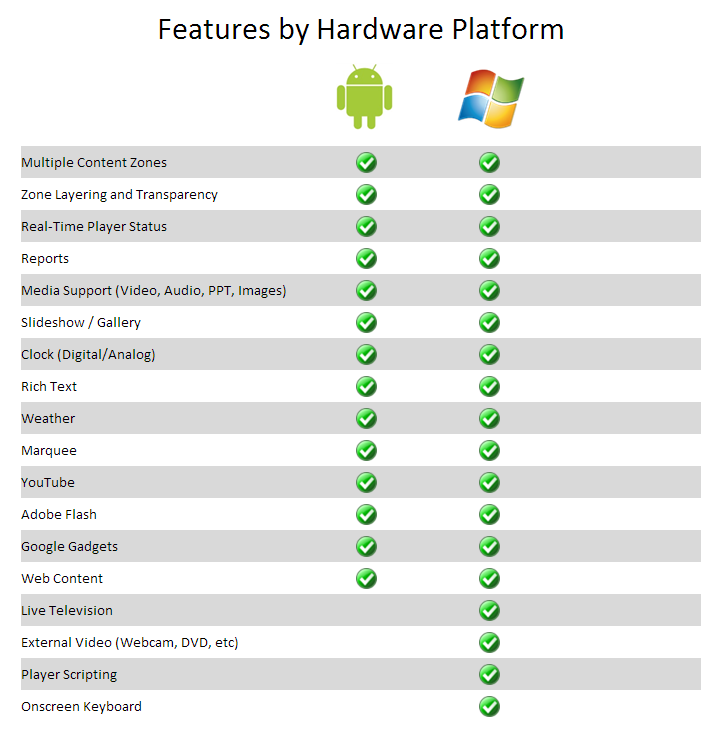 We are excited to announce support for Android based hardware including tablets, smartphones, PCs, and Google TV. Our Android player software includes many of the same great features found in our Windows player including multi-zone layering and transparency, real-time player status, and reporting. The biggest advantage of the Android hardware is it's low cost. A credit card sized Android PC with WiFi and HDMI can be purchased for less than $80 and can provide 90% of the functionality of our Windows based players. Simple signage scenarios such as menu boards or event calendars can now be implemented with VERY little up front cost while still retaining the ease of use and flexibility of the RevelDigital management platform. , an all-in-one large format display utilizing a Google TV, or converting an existing flat panel TV into a digital sign utilizing an Android Mini PC. These hardware options open up many possibilities generally considered too expensive with traditional Windows PC hardware. 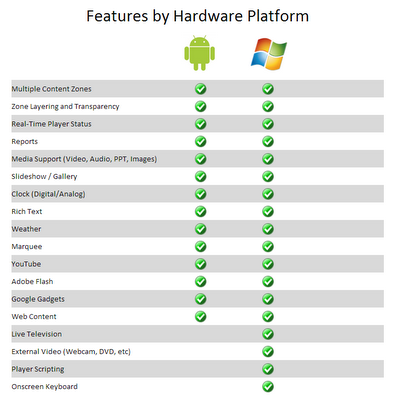 Windows 8 may change some of that when it's released, but my guess is not at the Android price points. You can find the free RevelDigital Player app on Google Play by searching for RevelDigital.